As we transition to a lower-carbon future, we ensure wind power is as competitive as possible so that its contribution to the energy mix can increase. Shell has a diverse portfolio of gear oils, greases and hydraulic oils to meet the challenging needs of Wind Turbine manufacturers and Wind Turbine owners and operators. Wind turbines operate in some of the most remote locations and extreme conditions in the world. Machinery and engineers need to deliver peak performance in the most challenging environments. In a highly competitive market, even incremental efficiency gains can make a significant difference to the bottom line and downtime is hugely disruptive and expensive. As an owner of wind farms and the market leader for lubricants, Shell understands the realities of operating in this sector. We are your trusted partner, providing the expertise, services and training to deploy and maintain the most competitive and effective wind turbines. Together anything is possible. Choose from a selection of gear oils, greases and hydraulic oils to meet the challenging needs of the wind sector. Discover how high-performance wind turbine oil cleanliness and filtration can reduce your total cost of ownership. Efficiency and reduce total cost of ownership. Slightly out-of-focus still image of a man in safety gear, holding a radio in his hand. Overlaying this in the bottom right corner, a series of wind turbines, and to the left, a shoreline. Text appearing to the left in the middle of the screen. Wide-angled view of three wind turbines at sea set against a blue sky. To the left of the frame, dune grass blowing in the wind. Sped-up overhead shot taken over the sea towards the shoreline, showing a man in a white lab coat, dunes behind him. 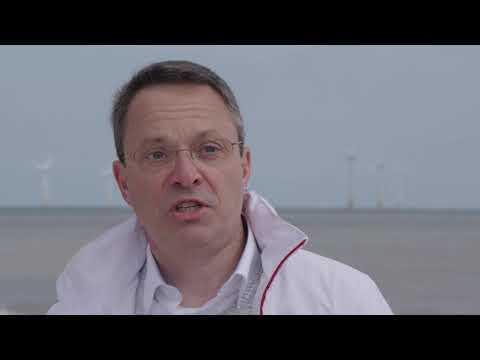 Close-up of Richard Tucker speaking to off-screen interviewer, against an out-of-focus background of the sea and some wind turbines. Close-up of Richard speaking freezes, the background turns white and text appears to the right. Shell Lubricants has been active in the wind sector for more than a decade. With our network of global technical experts we’ve got hundreds of years of experience. Sped-up, 360-degree overhead shot of Richard standing on a beach. Overhead shot of two wind turbines installed high up on a mountain with clouds floating up around them. White dotted background appears, a wind turbine to the left with overlaying text appearing. Shell Lubricant strategy is built on three pillars: innovation, application and partnerships. So we can understand not only today’s challenges but tomorrow’s challenges and build those into our products and services. View of the base of a wind turbine installed on-land, fog and clouds forming around it. Zoom upwards to the top of the wind turbine showing a wider view of the mountains and sea. White and blue globe set against a white background. A series of circles pinpoint Spain. Text appearing on-screen. We developed, designed, formulated, a new synthetic oil: Shell Omala S5 Wind, which addressed all the existing problems in the sector, such as premature foaming, premature oxidation of the bearings. Close-up of Juan Francisco Segura speaking to off-screen interviewer, against an out-of-focus background. Close-up and zoom in on a grey canister with a white label reading Shell Omaha S5 Wind 320. Zoom out. Back to close-up of Richard speaking. Close-up of Juan Francisco Segura speaking freezes, the background turns white and text appears to the right. And extending the change interval, which is one of the main problems that the sector wanted addressed. Close-up of the side of a small white van, Ingeteam written across the side. The passenger door opens and Juan Francisco Segura steps out of the van wearing a safety helmet. He closes the van door, takes a few steps and stops to look out in front of him. In the distance, an out-of-focus digger and several wind turbines set against grey, cloudy skies. The land looks dry and arid. Juan Francisco Segura starts walking. Tests and checks are carried out in the wind turbine, which include analytics, video and endoscopies, which let us see the actual condition of the oil. The truth is that, so far, there have been no problems with this product. Close-up view panning upwards of Juan Francisco Segura and Francisco M. Lopez, both wearing safety helmets, looking at something in front of them and talking. Close-up of Francisco M. Lopez speaking to off-screen interviewer, against an out-of-focus background. He is wearing a white helmet with red text written across it reading Ingeteam. Close-up of Francisco speaking freezes, the background turns white and text appears to the right. Close-up of a computer screen showing a series of data and graphs. Reverse close-up of Francisco and a lady facing three computer screens. One of the screens displays a detailed graphic of a wind turbine. Side view of Francisco and the lady looking at the computer screens. We have a range of hydraulic oils under the Shell Tellus brand and a full range of greases under the Shell Gadus brand. White dotted background with a turning wind turbine in the center reappears. Two grey and two black canisters appear on-screen. The black ones have a label reading Tellus, the grey ones a label reading Gadus. Back to close-up of Richard speaking. Shell offers services to the wind sector as well. One of these, for example, is Shell lube analyst, a global platform to look at the equipment condition monitoring and oil condition monitoring. Close-up of a hand holding up a small glass bottle to a tap, a yellowish liquid pouring into it. To the left of the tap is a yellow label with red text reading Lubricant Sample Point. Side view of a man putting something into a small cardboard box. Wide-angled view of a lady facing a computer. On the desk beside her are several boxes filled with small white-capped bottles. Close-up of the lady’s hands typing on her keyboard. She’s wearing a blue glove on one hand. A white-capped bottle with a dark liquid inside it sits just behind her keyboard. Side view of a lab worker in a blue lab coat and blue gloves holding a small bottle, a numbered label on the side. The lab worker takes a sample from said bottle. White and blue globe set against a white background. A series of circles pinpoint China. Text appearing on-screen. Our wind turbines are situated high above sea level and are not very accessible. This affects our maintenance work. Close-up of Wang Weibing speaking to off-screen interviewer, against an out-of-focus background. Close-up of Wang Weibing speaking freezes, the background turns white and text appears to the right. Aerial footage of a mountain range, a road and several wind turbines appearing amongst the clouds. Close-up of some grey and blue machinery. Close-up images of some spinning machinery with lubricant around it. Top left text appearing reading high speed photography. As everyone knows, lubricants are extremely important. So, when choosing a lubricant, we consider its reliability and stability. Out of so many companies, we chose Shell because its lubricants are more stable and reliable. Back to close-up of Wang Weibing speaking. Overhead shot of a wind turbine installed atop a mountain. Several roads can be seen. Our specialists and I visit the client’s on-site technical team, to find out the lubrication requirements for their latest projects. We then feedback their requirements to our technical experts, who then develop a specific solution based on their needs. Close-up of a lab worker wearing safety goggles inspecting something off-screen. Wide-angled view of Ma Ling Ling and two men dressed in red lab coats. Ma Ling Ling is holding a piece of paper while one of the men is speaking. They are standing in a lab surrounded by various bits of equipment. View of Ma Ling Ling in a darkly-lit room, sitting at a desk with an open laptop in front of her, talking to four individuals sat around the desk with her. Close-up of Ma Ling Ling speaking to off-screen interviewer, against an out-of-focus background. Close-up of Ma Ling Ling speaking freezes, the background turns white and text appears to the left. Side view of a large piece of equipment in a room. To the side, a door opens and an individual walks in wearing gloves and a fluffy hooded parka. Quick shot taken from a security camera showing part of the equipment and a different angle of the individual entering the room. He is wearing a white helmet and safety goggles. Close-up shot of said individual as he closes the door behind him and walks off. Side shot of Wang Weibing and Ma Ling Ling getting out of a white car. Out-of-focus shot of Wang Weibing and Ma Ling Ling walking and talking, the shot then coming into focus. Manager Ma is very familiar with the products, and is competent in both technical and business areas. Back to close-up of Wang Weibing speaking. As for the company’s products, they are very stable, so we have no worries about the quality. Reverse shot of Wang Weibing and Ma Ling Ling walking towards the edge of a mountainous terrain. In front of them, a mountain ridge enclosed in clouds. They are both wearing helmets. Wang Weibing is dressed in a red jacket with white text on the back reading Goldwind and a small logo. Shot taken from the base of a wind turbine looking upwards, showing the whole turbine in frame set against a somewhat cloudy sky. Aerial shot of a wind turbine installed upon a mountain top with clouds coming in. Wide-angled view of a wind turbine park on-land. Shot of Juan Francisco Segura and Francisco M. Lopez walking away from a small white van and walking off out of shot. Close-up of a lab worker at work testing a sample. Shot of Wang Weibing and Ma Ling Ling talking, two wind turbines and a mountain ridge in front of them. Side shot of Wang Weibing and Ma Ling Ling walking and talking. Back to close-up shot of Richard Tucker speaking. Aerial shot panning across the sea towards a wind turbine park. Shell’s ambition is to be the trusted partner for our customers worldwide in the wind sector, bringing them innovative products and services to help drive down the cost of ownership and to drive down the cost of wind power. We believe this is vital to the future of the wind sector. Centered text appearing against a white background. Warren Cates Shell Project & Technology Lead, Lubricants: If it was easy to develop a product like this, everybody would have one. Warren Cates: …that was specially built for a wind turbine application. Warren Cates: I've been doing this work for 25 years, and this has been the most difficult and the most challenging development that we've had. There's been a lot of hard work by many, many different groups across the globe to ensure proper performance for the customer. The product development that went into this was game-changing for us. There's over 300 lines of testing, and many of the tests are specialised tests. One of the biggest characteristics is low temperature property. We wanted to make sure that the equipment was able to function at low temperature. Pieter-Jan Jordaens Senior Engineer, OWI LAB: …so-called ‘no-load’ test rig for gearboxes. 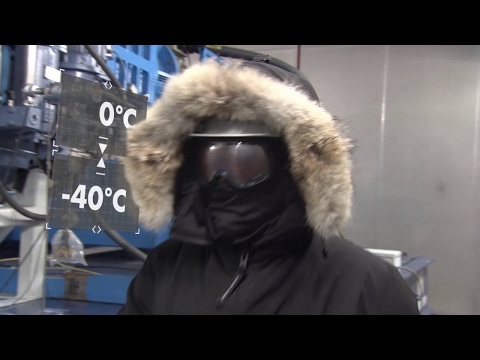 Pieter-Jan Jordaens: We have been testing at low temperatures ranging from zero degrees to minus 40 degrees. We have used it to measure the time to grit with this new oil which is being developed by Shell. Bastiaan Reymer: …and then when they heat up again, that's when the possible failures might happen. We drive a 315 kilowatt motor which drives the high-speed shaft of the wind turbine gearbox. That way, we have a ‘no-load’ set up on which we can go until full speed and full torque in cold climates. The images that we have taken during the project looked impressive. There was definitely a difference between the standard oil that was used, and the Shell Omala S5. Warren Cates: Well, this new product is going to be a game-changer out in the wind turbine industry. Warren Cates: …to the grid faster. Warren Cates: …lubricant out there. Warren Cates: We've done it. We've really done this.